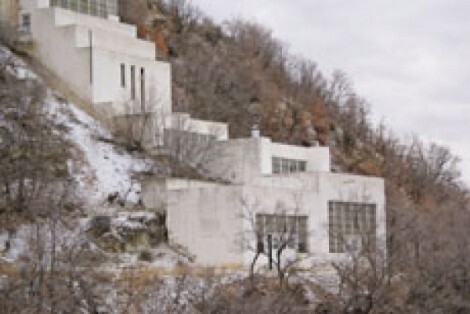 The faithful are still waiting for Bishop Koyle’s Mormon dream mine to pay out. Utah County’s “Dream Mine,” as it’s been known for more than a century, rarely turns up in conversation, either. It seems most people would rather not discuss the mine’s ancient and fabled promise: wealth beyond imagination, where rivers of precious gold and platinum course beneath the docile farm community. What’s more, nine vaults are said to lie deep within the mine, filled with the treasures left by an ancient race from the Book of Mormon known as the Nephites. As legend goes, the Nephites’ wealth was set aside for God’s chosen people during a time of uncertainty as a blessing to fortify the faithful against the ensuing chaos of the apocalypse. While the mine has always been part of the rural tapestry of southern Utah County, the Dream Mine hasn’t always been the subject of polite dinner conversation. Koyle’s prophecies prompted the church to question his mine operation—which sold stock for decades without producing an ounce of pay dirt—and his efforts eventually led to his excommunication. Online believers have brought new life to an old prophecy while trading stock, sharing stories and preparing for the last days—all while trying to fly under the radar of LDS general authorities. Today, the discussion group buzzes with followers’ talk of the mine and predictions of the apocalypse. When will it come and how? The time seems close at hand and the signs are all around, according to the e-group discussion. “More volcanoes, big [earthquakes], large tsunami or tsunamis,” one believer posts. “Probably before the end of the year, unless geologically things calm down. A volcano in Alaska should be about to blow also. More volcanoes are about to erupt, probably in the Cascades. A chunk of people possibly dead within a few months from now. An e-mail discussion group has helped resurrect the century-old dreams of a man who believed God’s angels had singled him out for a very special mission.